You’re on the right page if you want to know what subjects are compulsory to sit for and write in WAEC, NECO or NABTEB. Generally, students are expected to write 9 subjects in WAEC and NECO. That’s the maximum you can register and sit for. Also, you can write a minimum of 8 for the two exams. By this, it means, you can’t register for subjects less than 8 (except for WAEC GCE that allows a minimum of 7 subjects). Even though there are situations that may warrant you trying to register for 5 or 6 papers, such as if you just need to make up for one or two deficiencies in your O’level. Yet, these exams do not allow that. It's only NABTEB that allows you to write a fewer subjects depending on the subjects allowed for your centre or the ones you need as a technical or business students. So what are the compulsory subjects a student must write in WAEC, NECO or NABTEB? I discussed 5 or 6 compulsory subjects you must pass to gain admission in the post “SSCE Results: Combination, 5 Credits Needed and Where D7, E8 or F9 Accepted”. If you go through that post, you will understand what you must work hard for in other to secure admission with your O'level results. However, you’re not allowed to sit for only that 5 or 6 subjects. Then, if you must write more, what should they be? English Language, Mathematics, Physics and Chemistry (Optional include ICT – Information and Communications Technology, Economics, and Literature-in-English). Introduction to Building Construction is a compulsory subject for candidates offering the under listed trades: Carpentry and Joinery, Painting and Decorating, Plumbing and Pipefitting, Draughtsmanship Craft Practice. What of Other Subjects Listed for Students? 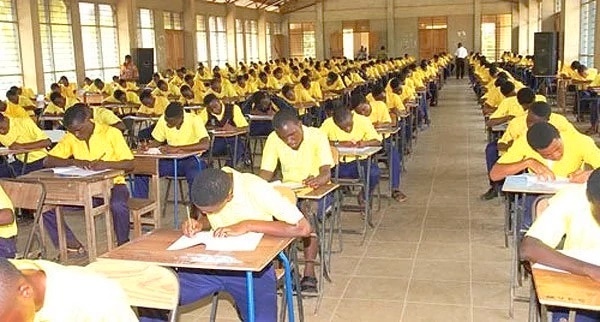 Lately, some schools and ministries of education are making writing of some newly introduced subjects compulsory for WAEC and NECO candidates. Among these new subjects, a student must select 3 or 4 to add up to his or her required 8 or 9 papers in total. NOTE: Most of these courses are still non-matriculated subjects (i.e not still acceptable for admission purpose) among various top universities in Nigeria. For example, University of Ibadan listed those they won't accept for admission. So what must be selected among them? First let’s see the list of those subjects. Some schools are now accepting some of the subjects listed above for admission but not all. Having said that, a candidate should check JAMB brochure to know the schools accepting them and for what courses. You can add any three or four of those subjects as optional to the main compulsory subjects I listed above. This may depend on what your school also prefer or have larger population for. Most schools/state governments are equally making Civic Education compulsory for their students. This is why WAEC added the subject with their list of available subjects in private candidates series. I think you may not avoid writing that in the internal WAEC or NECO. Now that you know the compulsory subjects for you as a science, commercial or arts student, you don't have any worry if your school has registered you for those subjects. In other words, other 3 or 4 subjects may not really matter once those you IMPORTANTLY need are registered. Where a school fails to put you in for your compulsory subjects, there may be need to show them what your proposed university and courses required according to JAMB official brochure.